How do you overcome DPF filtration issues? Understanding what causes problems with DPF (Diesel Particulate Filters) is the first step to overcoming the issues with them. 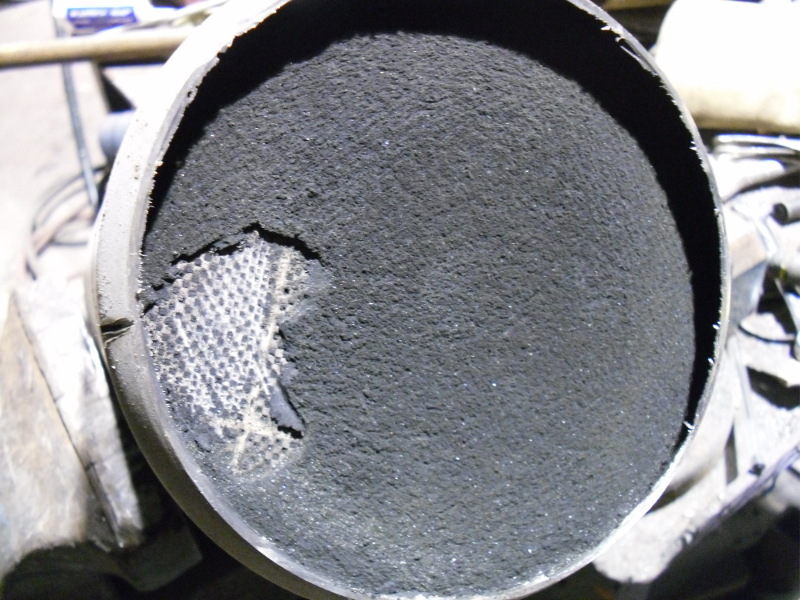 Really there are two major factors that cause DPF filter problems: soot and ash. The differences may surprise you, but the solution is rather simple. The first and most common issue is with Particulate Matter which is another name for soot. This is a caused when diesel fuel fails to completely combust. This carbon-based by-product of the combustion process is one of the leading factors in build up within your DPF and can be costly in the long-run and can also decrease your exhaust efficiency, lower your engine performance and cost you more in fuel expenditures. Ash on the other hand is a natural by-product of the combustion process as well; however, ash cannot be burned out as it consists of inflammable minerals. The fuel itself is one element of the equation that contains ash. Surprisingly, ash is present in all blends of diesel, whether you are using #2 ULSD or a biodiesel blend, ash is always present. While it is a low level impurity, over time it can build up in your filters and restrict the exhaust from effectively working at full efficiency. 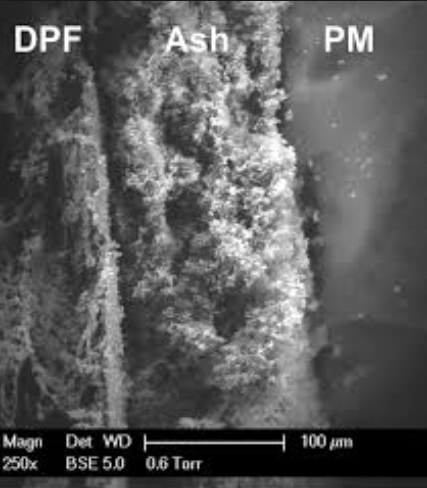 Unfortunately there is no current way to avoid ash as it cannot be burned, nor are there any current technologies to prevent ash from building up in the DPF. The accumulation of ash in diesel particulate filters is one of the most important factors limiting the filter’s service life and has been described as one of the most important problems facing diesel engine manufacturers [Sachdev 1983] [Konstandopoulos 2000] . While there are a number of systems utilized to clean out ash, pneumatic-based solutions being the primary method there are no chemical or catalytic methods to convert ash to a post combustion product that will pass through the filtration without some kind of accumulation. This is why engine manufacturer’s will recommend either cleaning or replacing the DPF every 200,000 miles. It is good to note that the actual frequency of cleanings will depend on a variety of factors including: how effective previous cleanings were, the drive cycle and engine oil consumption, to name a few. Always check with your DPF manufacturer for the most effective strategies. While the ash issue is something that science may ultimately render a non-issue the fact is that there is currently no solution available to eliminate ash completely. While your fuel source is one way ash is introduced into your exhaust system there is also engine lube oil that is a contributing factor. Since all petroleum based oils contain additives the resulting ash will always be a by-product of the combustion process. While some will argue that they use an “ash-less” product, this is a misnomer as all engine lube oil contains some form of metallic or mineral components that effects the lubricity, viscosity and friction of the product. While these “ash-less” products may have smaller amounts of mineral components they still contain some that pose a problem. Bottom line is that we are stuck with ash, but soot on the other-hand can be an issue of the past by using Enerburn Diesel Fuel Catalyst. Enerburn™ works to effectively to eliminate soot build-up by lowering the temperature at which the diesel fuel combusts. A more efficient burn at lower temperatures results in a more complete combustion process whereby the fuel is eliminated (converted to C02 and water) with greater efficiency. Not only does this reduce the frequency of costly DPF cleaning compounded by ash production, but it also serves to increase fuel efficiency while improving engine horse power. For more information about Enerburn™ and testing for your fleet solution or personal use contact Enerburn™ today!